This chapter describes redundancy-based solutions to visual servo problems that require honoring constraints on camera motion that are imposed either by the environment or by physical limits on the robot system. The task function approach provides a formalism by which a secondary task can be achieved without disturbing the execution of the primary task. For problems considered here, secondary tasks correspond to enforcing various constraints. With gradient projection methods, the secondary task corresponds to the gradient of a cost function, and this gradient is projected onto the null space of the primary task to yield motions that will honor the constraints without interfering with the performance of the primary task. 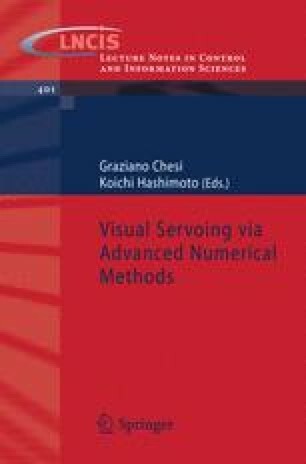 The chapter reprises the development of gradient projection methods in the context of constrained visual servo control, and presents simulation results to illustrate performance of the approach.